Brilliantly unique One Pager filled with personality for Argentinian designer, Mariano Pascual. 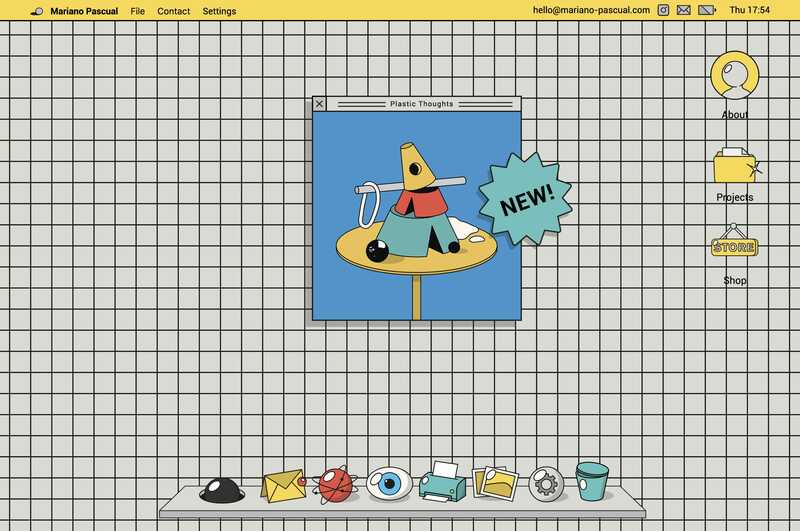 The website mimics an interactive desktop on a vintage Operating System featuring a taskbar, menubar and draggable windows. One of the most unique and inspiring websites you’ll see this year. Focused on design and illustration, his work is characterized by being bold, playful, ironic interpreting shapes through vibrant colors that becomes patterns, textures and compositions. Mixing abstract and figurative elements with geometry and organic structures in a minimal and precise way, he creates scenes that escape reality through fantasy and mystery.